I am a sucker for a paper flower! My first encounter with them was in elementary school when we made tissue paper flowers for Cinco de Mayo! To me, a flower in any form is stunning! 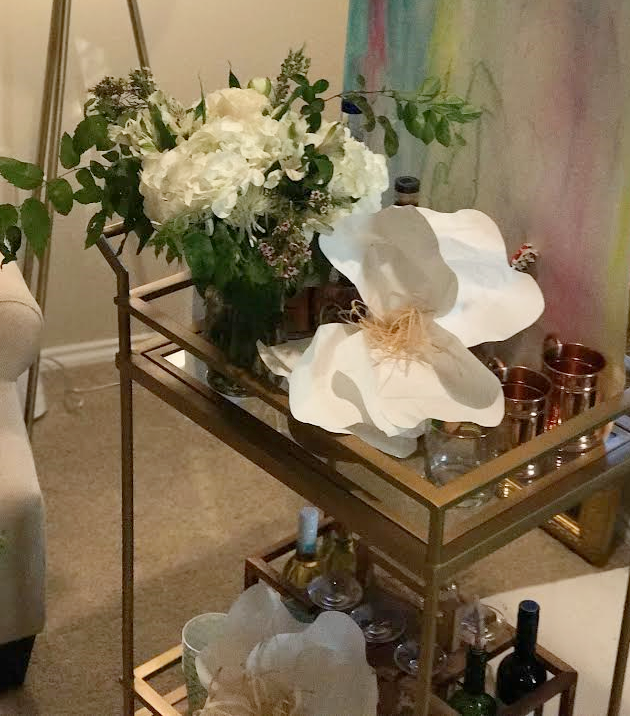 When it comes to decorating a space, I find that there is always room for more flowers! These paper flowers are a cheap and easy DIY that will add texture, fill, and color to any event or space!! 1. You will need 6 petals for each flower. 3 smaller petals, and 3 larger petals. The exact size depends on how large you want the overall flower to be! Cut out any random petal shape that you'd like! 2. Crumple each piece of paper to give it texture. During this step, I choose to round my flowers as well by gathering the stem portion and then creating a round basin out of the top of the petal by pressing down in the center. 3. Gather your inner flower. I gather the stems of all of the 3 smaller flowers in my hand. At this point, I staple the stems together so that they form a small bouquet. 4. Stagger the 3 larger petals around the 3 smaller petals. Layer one large petal so that the crease where 2 of the small petals meet falls in the center of the large petal. 5. Staple the outer petal stems to the inner petal stems. A few occasional staples may be needed to secure individual petals together if your flowers is very large. 6. Create the center of your flower. I tend to use raffia or moss, but torn/shredded tissue or additional paper works great! Use your hot glue gun to glue the center into the middle of the 3 small petals. You won't believe how easy and useful this DIY is! 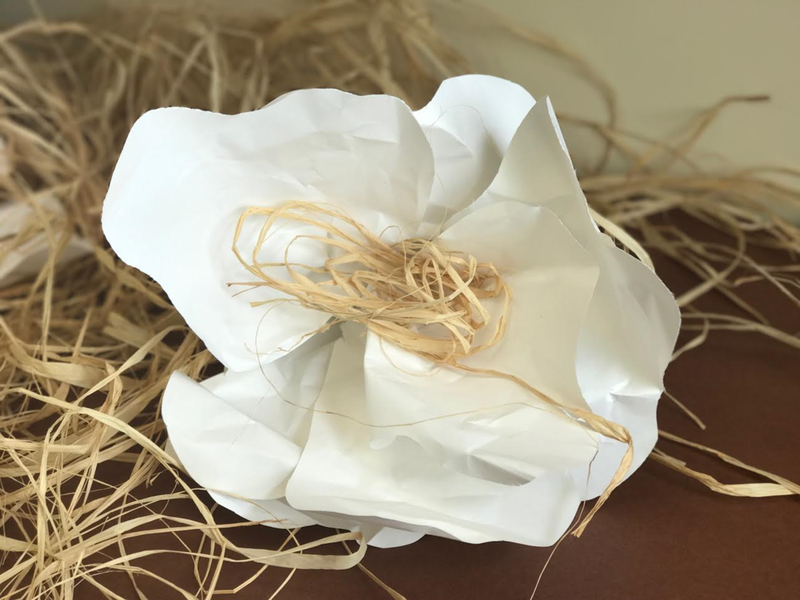 These paper flowers are perfect for any shower or event! I hope you try them out! If you do, be sure to share photos!! I'd love to see them! !